Italian drip roast beef sandwiches combine savory roast beef, tangy pepperoncini peppers, and melted cheese piled high onto buttery toasted buns. Dipped in rich au jus~these are crazy delicious! This wonderful recipe is from Ree Drummond (aka Pioneer Woman) and is out of this world. It is super easy, as the meat and peppers cook all day, and sandwiches are assembled just before the meal. The sandwiches have rich, melted cheese, tangy peppers, and savory meat topping buttered and toasted sandwich rolls. With small bowls of au jus for dipping, these are sure to please any palate! 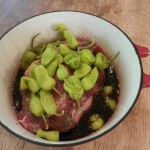 You can visit The Pioneer Woman Cooks to see two recipes for drip roast beef, complete with photos and detailed steps. I’ve made both versions, and they are outstanding! I serve the sandwiches with chips and this fabulous crunchy slaw. Rich, savory sandwiches that taste like a French dip~even better! 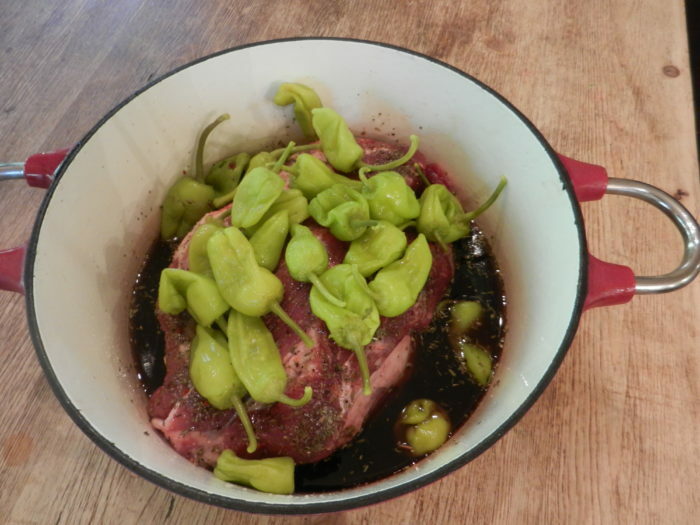 Put roast in a heavy pot or dutch oven. Sprinkle with Italian dressing mix and Italian seasoning. Pour broth or consommÃ©, water, peppers and juice over roast. Stir lightly to combine seasoning with the liquid. 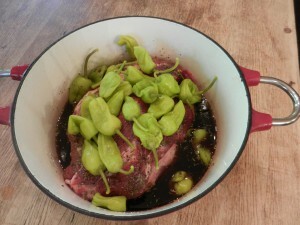 Cover roast and bake in a 275 degree oven* for 6 to 7 Â hours, until fork tender. Remove from oven. With two forks, completely shred all meat, discarding any fat. Set aside. Butter rolls; place one slice of cheese on either top or bottom of roll. Place meat, peppers and any desired condiments on sandwiches. Serve au jus on the side for dipping.